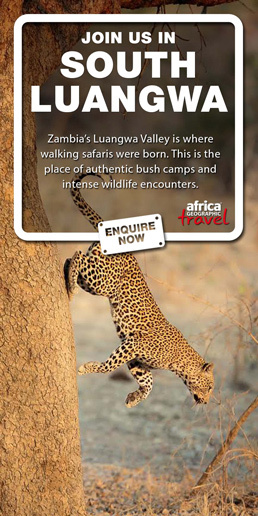 A tour guide was injured when a leopard attacked him in the Kruger National Park (KNP) yesterday. 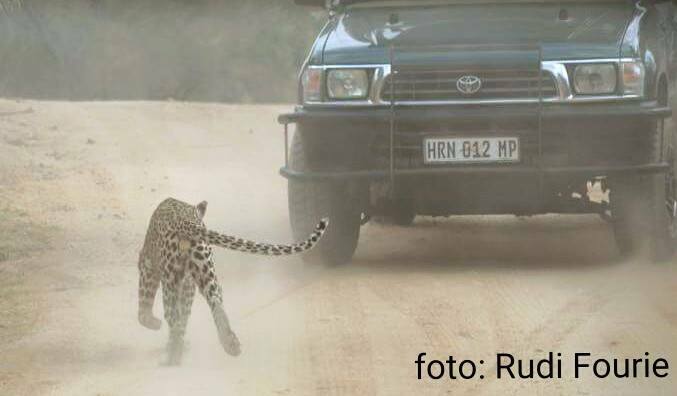 In the chaos that followed, the safari vehicle and another car in the convoy both ran over the leopard with their wheels. 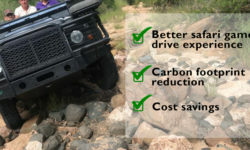 In a statement William Mambasa, general manager of Kruger National Park, thanked the tourist from the other vehicle for saving the guide and tourists’ lives. 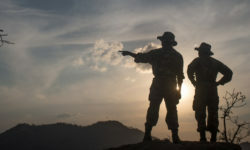 Reports from park officials and eye witnesses stated that the guide was trying to herd the leopard for the benefit of his quests, for a clearer view. 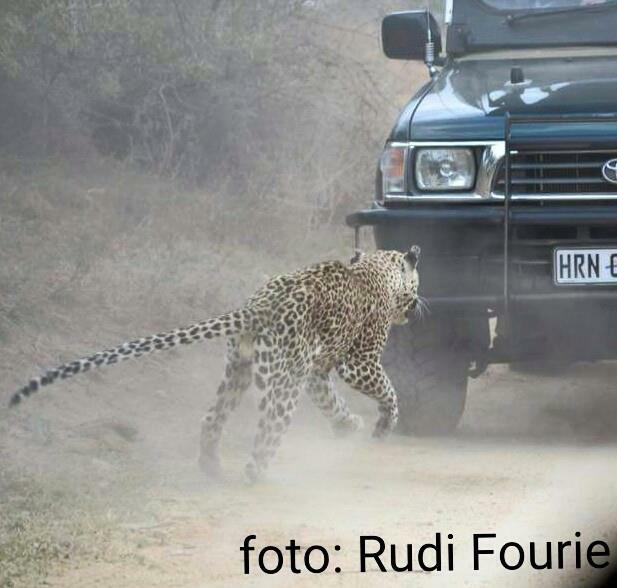 The guide of the Nhongo Safari vehicle, Mr Curtis Plumb, who was attacked by a leopard in the Kruger National Park (KNP) apparently tried to push the leopard out of the vehicle with his arm when it attacked him and was protecting his guests when the predator wanted to climb into the vehicle. 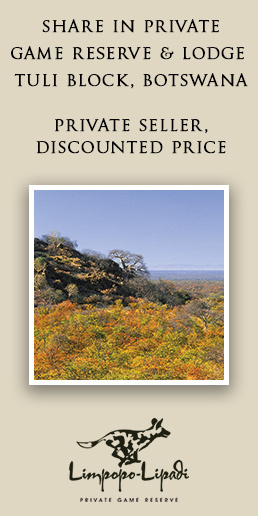 This is according to Ms Verity Cherry, wife of Managing Director of Nhongo Safaris, Mr Dean Cherry. 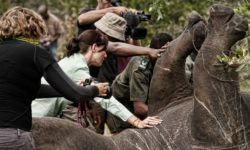 Cherry said, “I’m sorry but we cannot comment any further, as we have been told by the South African Tourism Association (SATSA) and South African National Parks (SANParks) to wait for a report about the incident.” She added that Plumb was not very badly mauled, although he was still in shock. He was still in Mediclinic Nelspruit this morning. 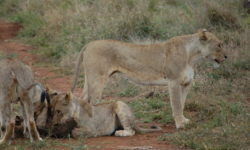 KNP spokesman Ms Laura Mukhwevho, added that the animal was put down by rangers. She added that the animal was estimated to have been between 16 and 18 years old. 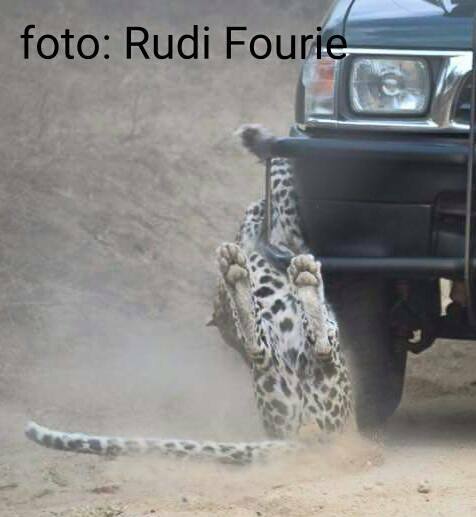 She confirmed that, although the animal had injuries from fighting with another leopard, it was run over by the front wheel of Plumb’s open safari vehicle.